When it comes to Dance Classes, we know that nothing is more important to you than your children, and we appreciate the trust you put in us. 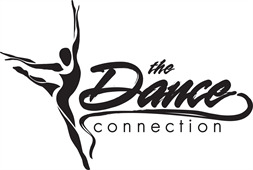 At the Dance Connection of Hillsborough your child will get individual attention from a highly qualified teacher, in a class that’s organized, fun and friendly. Come take dance class with us and see why everyone raves about us. I understand that there are risks of physical injury associated with, arising out of, and inherent to the activity of dance. In recognition of this acknowledged risk of injury, I knowingly and voluntarily waive all right and/or causes of action of any kind, including any and all claims of negligence arising as a result of such activity from which liability could accrue to David Kieffer LLC doing business as The Dance Connection, it’s officers, agents, employees, instructors, subsidiaries, parent corporations, and all affiliated entities (hereinafter collectively referred to as “The Dance Connection”). I hereby agree to release The Dance Connection and hold The Dance Connection harmless of all liability, and hereby acknowledge that I knowingly and voluntarily assume full responsibility for all risks of physical injury arising out of active participation in dance on behalf of myself or my minor child. I am aware that this is a release of liability and an acknowledgement of my voluntary and knowing assumption of the risk of injury. I have signed this document voluntarily and of my own free will in exchange for the privilege of participation. I have had an opportunity to discuss this release with an attorney before signing it if I chose to do so. I do hereby consent to the use by David Kieffer, LLC, doing business as The Dance Connection (collectively, the "Company") and its agents or employees, to use photographs taken of me (or my minor child) at the Company or any other location, by a professional photographer (a "Photographer") hired by the Company, or by Company employees or agents, to be used for any lawful purpose. I hereby waive the right to inspect or approve the finished photographs or printed or electronic matter that may be used in conjunction with them now or in the future, whether that use is known to me or unknown, and I waive any right to any form of payment, compensation, royalties or any other form of consideration relating to the use of the photographs. I hereby release, defend and hold harmless the Company and its officers, directors, employees, agents and representatives of any kind, from and against any claims, damages or liability arising from or relating to the use of the photographs. I understand that the Company is not responsible for the acts or omissions of a Photographer and makes no representations or warranties of any kind regarding the quality of the pictures of me (or my minor child). I attest that I have read this consent form and fully understand its contents. I hereby authorize The Dance Connection to charge my credit card, or debit account automatically on a monthly basis for outstanding balances. I also authorize The Dance Connection for any delinquent charges that may accrue in the future. I understand that this authorization will remain in effect until I cancel it in writing, and I agree to notify The Dance Connection in writing of any changes in my account information or termination of this authorization at least 15 days prior to the next billing date. I acknowledge that the origination of Credit Card transactions to my account must comply with the provisions of U.S. law. I certify that I am an authorized user of this Credit Card and will not dispute these scheduled transactions; so long as the transactions correspond to the terms indicated in this authorization form.